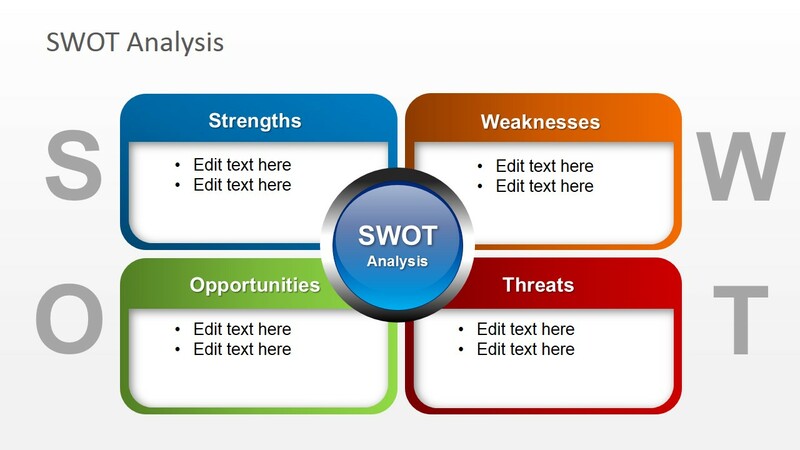 Free SWOT Analysis Slide Design for PowerPoint is a creative presentation design containing a SWOT matrix in PowerPoint. You can use this SWOT PowerPoint slide to present the conclusions of a SWOT Analysis during a PowerPoint presentation. You can also download other SWOT slide designs for PowerPoint with more SWOT matrix variants.